NEW YORK — The little things that are finally going right for the New York Mets can’t seem to stop going wrong for the Miami Marlins. The Mets will look to continue their winning streak and extend the Marlins’ skid Tuesday night when New York hosts Miami in the middle game of a three-game series at Citi Field. Mets right-hander Zack Wheeler (2-3, 5.92 ERA) is scheduled to oppose Marlins left-hander Caleb Smith (2-5, 4.22). The Mets won their fourth in a row Monday night when they got timely RBI hits from Asdrubal Cabrera and Wilmer Flores and some strong defense in a 2-0 win over the Marlins. 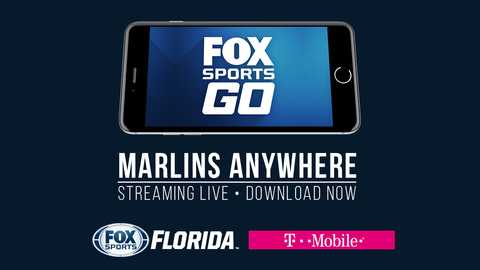 Flores doubled the Mets’ lead immediately after Marlins third baseman Martin Prado misplayed Luis Guillorme‘s routine grounder in the seventh inning. Had Prado fielded the ball cleanly, there would have been two outs and a runner on second. Instead, Devin Mesoraco trotted home from third on Flores’ pinch-single. The Mets (24-19) preserved the lead in the eighth inning when left fielder Brandon Nimmo made a sliding catch for the third out with a runner on third and in the ninth when the Marlins stranded a runner at second after shortstop Amed Rosario ranged deep into the hole for Lewis Brinson‘s grounder and nabbed a sliding Brinson for the final out. Defense helped the Mets out a day after they broke open a tie on back-to-back homers by Cabrera and Rosario in the seventh inning of a 4-1 win over the Arizona Diamondbacks. The Marlins (17-30) have lost three straight in three different ways. The Atlanta Braves routed Miami 8-1 on Saturday before scoring six runs in the ninth inning of a 10-9 victory on Sunday. Before near-misses in the eighth and ninth inning Monday, the Marlins squandered a prime offensive chance in the sixth inning when they loaded the bases with two outs before pinch-hitter Derek Dietrich struck out against the Mets’ third pitcher of the inning, former Miami reliever AJ Ramos. Wheeler took the loss in his most recent start last Wednesday when he allowed six runs in four innings as the Mets fell to the Toronto Blue Jays 12-1. Smith took the loss last Thursday when he gave up four runs in three innings as the Marlins were blanked by the Los Angeles Dodgers 7-0. In eight starts against the Marlins, Wheeler is 3-1 with a 2.15 ERA — his lowest ERA against any opponent he has faced at least five times. He victimized Miami in the only shutout and complete game of his career on June 19, 2014, when he tossed a three-hitter in the Mets’ 1-0 win. Smith didn’t factor into the decision in his lone previous appearance and start against the Mets on April 10, when he gave up three runs in five innings as Miami fell 8-6.